Click on this portrait of Machiavelli to visit a very detailed page about his life and work. 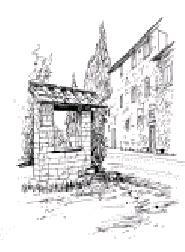 In 1512 Niccolò Machiavelli lived in exile in San Casciano, near Florence in the village Sant'Andrea in Percussina. He lived in near poverty, but today the main street in San Casciano is named for him, Via Machiavelli. The following images give an idea of the landscape Machiavelli enjoyed. 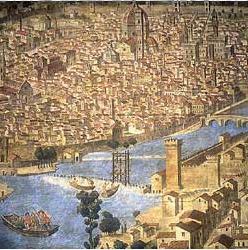 It's said his exile was made the worse for being able to see his beloved Florence in the distance. 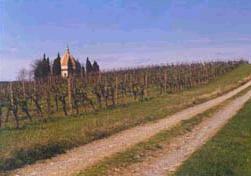 Machiavelli's family home, the villa l'Abergaccio, is now linked to a winery/luxery hotel. Click on the images above to read about the wine they produce. 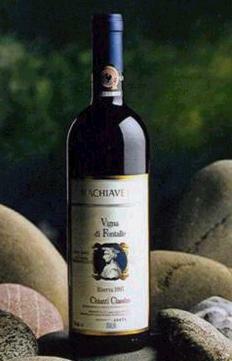 Click on the bottle of Machiavelli wine to read about the history of the winery and the vineyards from which the wine is produced. Click on the view of Tuscany to visit the Tuscany.net site's description of the Hotel Villa Casagrande, the winery/luxury hotel on Machiavelli's old estate. 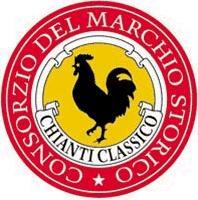 Another 'believe it or not'...Machiavelli's home is also the seat of the Consortium for the Classic Chianti Wine, the Black Rooster mark. 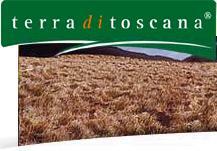 Click on their logo to visit their website that has photos of Machiavelli's home town, and home. 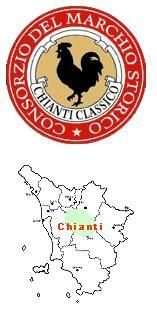 Click on the Chianti logo and map to visit the Farmhouse Rental site's page that describes the Chianti area and how to get there when in Italy. I love this one. Click on the drawing of Sant'Andrea to read about a restaurant that claims to have been a favorite haunt of Machiavelli's. 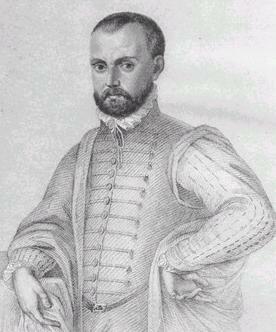 Machiavelli wrote to a friend that he spent his days in peasant's clothes dealing with family and estate issues. Then in the evenings he donned the clothes he had worn when he was an emissary to heads of state for the Florentine Republic, and wrote his books for four blissful hours each evening. But according to this restaurant, he really spent his days playing cards, and eating and drinking at their place. Click on the logo above for the Anecdotage.com site where you can read anecdotes about Machiavelli and Democracy. Just enter the word in their search box. Click on the above logo to go to the University of Adelaide's Library site where you can connect to online copies of all of Machiavelli's major works. This is the site to which the section headings at the bottom of this page link. 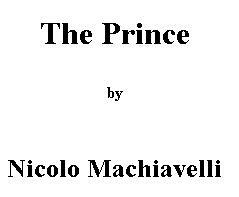 Click on the title above to go directly to the first page of an online version of 'The Prince'. Click on the title above to go directly to the first page of an online version of 'The Discourses'. 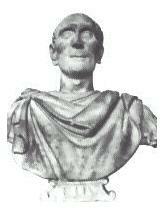 The Ancient Roman historian Livy wrote 142 books on the History of Rome from it's Foundations published from 26 B.C. to 17 A.D.. Click on the scary image of Livy above to read more about him and his work. 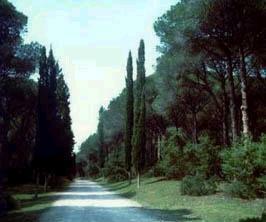 Click on the image of the ancient tree above to visit the Livius - Articles on Ancient History site. They offer nearly 1500 pages of very interesting histories on eras, events and famous persons from Ancient History. 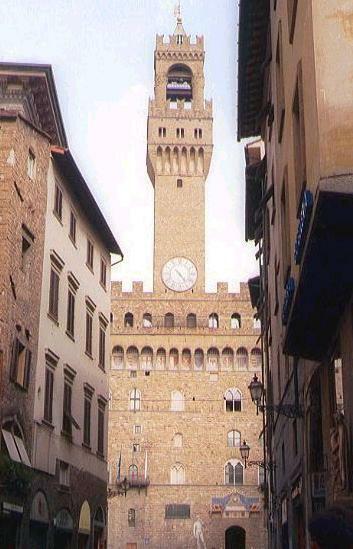 Machiavelli worked for the short-lived Florentine Republic in the Town Hall, 'Il Palazzo Vecchio', when he wasn't traveling as an emissary to other states. It was said he moved around so much and so quickly doing his work that the correspondence sent by his employers was often addressed: "To wherever the devil he is now...". 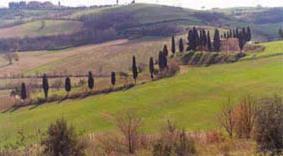 The Terra di Toscana site has invented an 'impossible interview' with Machiavelli. It is actually very entertaining and edifying. Click on one of the images from their site to go directly to the interview. Free e-books of The Prince and The Discourse are available from Project Gutenberg, the grand-daddy of free e-book websites. His famous, or infamous, book Il Principe (The Prince) is not really “Despotry for Dummies”, but an expert description of the efficient functioning of a Principality, which was in those times, actually, from the beginning of human city-dwelling 10,000 years ago, the primary form of political governance. To better understand Machiavelli and the realities of his era in terms of today’s world, one needs an understanding of democracies and republics both liberal and illiberal. These words have taken on popular meanings, but as I’m writing about Political Science, I’m using their Political Science meanings here. I explain those meanings briefly in the next sections. Before Machiavelli’s time there are two famous, and rare, examples of republics (voting by citizens) with limited democracy in early history: the republic in Ancient Greece, and the republican era in Ancient Rome. Each suffered very limited suffrages, thus limiting their actual representation of the will of the people. They also lacked institutions, laws, and courts strong enough to enforce the rights of the voting public against despotic tendencies and excesses in their leaders. The choice to exclude vast portions of society from the suffrage was an effort to keep control of the government in the hands of a like-minded, wealthy, conservative elite. They felt strongly that they had to deny rights to people they considered lesser human beings, such as women, slaves, naturalized citizens and the less educated. To be precise, democracy means governing power comes from the people by some means, such as voting (in a republic), caucuses, referendums in direct democracies, or even via party or faction-appointed representatives. The power is then instilled in those who govern. Because the power comes from the people, if the representatives do a poor job, the power can be taken back and given to someone else. That’s the ideal version of a democracy, and that’s the glory of democracy. It’s the best system developed to-date to govern diverse groups of people, to protect the rights of minorities in societies, and to keep down that all-to-human tendency to corruption and excess. It’s proven itself the best system found for governing with respect for human rights and the rights of the individual. But not all democracies are liberal democracies. A liberal democracy allows for multiple political parties, regular elections, free discussion of the issues, criticism of the elected officials, free association of political organizations. There are many illiberal democracies around. Communist countries called themselves democracies and republics because people voted for their leaders, but there were so many restrictions on discussion and association that there was no real competition between candidates or policies. Many of today’s illiberal democracies are relatively new democracies. An illiberal democracy is often used as a bridge between authoritarian/totalitarian societies and liberal democracies. People who are authoritarian in their personal lives and who are used to living under an authoritarian system are rarely comfortable with a sharp shift to what they see as a chaotic form of government that allows dissension, opposing policy proposals, and criticism from opposing political parties. It is also true that the newly formed political parties and electorates are not used to a system in which they can speak freely, and too often speak irresponsibly, inciting violence and hatred. Another novelty that is often difficult for a new democracy to comprehend is that political parties can lose elections. The idea of working in opposition to shape legislation and policy is not clearly understood, prompting election boycotts, unfounded accusations of wide-scale fraud, or violent riots when parties lose. But the long-term trend is to more liberal democracies that allow for more individual choice, self-determination, and diversity of opinion and behavior, thus to more respect for individual human rights. This trend exists largely because there is also a long-term trend to improving educational systems around the world. And there is a clear link between greater levels of higher education of citizens, and greater respect for individual human rights. It would seem that the more people understand the world around them, the less they fear the world around them. But then again, perhaps it is because he felt this way that he and the other Founding Fathers, the framers of the U.S. Constitution, ensured that the need for laws enforced by independent courts, and a government full of checks on power and balances that could redress injustices and excesses in any branch of the government, were enshrined in the U.S. Constitution. It’s when these elements are missing that democracy gets a bad name. It’s said that attempts at pure socialism eventually fail because it’s an ideology based on a flawed assumption about human character: that a majority of the people will act for the good of society. It's also said that a liberal democratic republic works because it’s based on the assumption that each person will vote for what is personally best for him, and those collective selfish votes add up to what is best for the society as a whole, at least until the next election. 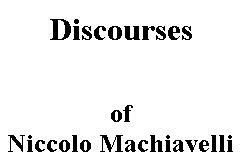 But what most people don’t realize is that Machiavelli wrote The Prince as a companion piece to Discorsi sulla prima deca di Tito Livio (Discourses on the First Ten Books of Titus Livius). Livy was a prolific Ancient Roman historian. The Discourses was the major work of the two books; a comprehensive book of several hundred pages in three volumes describing and lauding Ancient Rome’s republican era. In The Discourses, Machiavelli describes where Rome went wrong, where it went right, and how it should have dealt with both internal and external threats. And in his later book, Istoria Fiorentine (The History of Florence and of the Affairs of Italy), he again lauds republican principles. He saw them as the way forward for an increasingly enlightened mankind. Republics also offered a continuity and stability that principalities do not offer, often collapsing upon the death of the Prince. The Discourses speak more to us today than The Prince. The section titles alone tell you that it would be a valuable read for today’s world leaders. If you doubt this, look below, where I’ve put The Discourses' section titles, linked to the Adelaide University site in Australia where you can read the section if you wish. To widen your search about the era or his comtemporaries, you can use this Search tool for Amazon.com. Just enter 'Books' in the 'Search' field, and names and words in the 'Keyword' field (for example 'Republic of Florence' or 'Borgia'). Then click on the 'Go' button to see what's available, what people's comments about the books are, and what they cost. CHAPTER XXIX THAT THE FAULTS OF THE PEOPLE ARISE FROM THE PRINCES. Rendered into HTML on Wednesday June 4 15:52:10 CST 2003, by Steve Thomas for The University of Adelaide Library Electronic Texts Collection. Sources: Various including those hyperlinked on this page and Machiavelli's The Prince and The Discourses, the translations provided by Project Gutenberg.